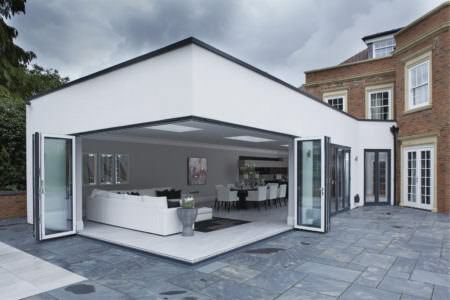 A beautiful, timeless design combined with a strong and robust structure. 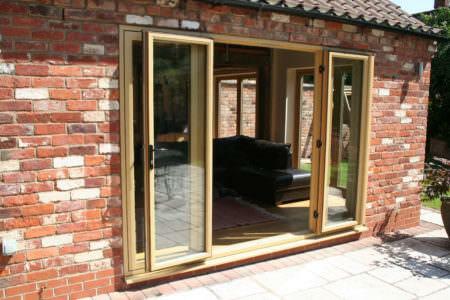 Stylish and secure, composite doors are the perfect timber replica. 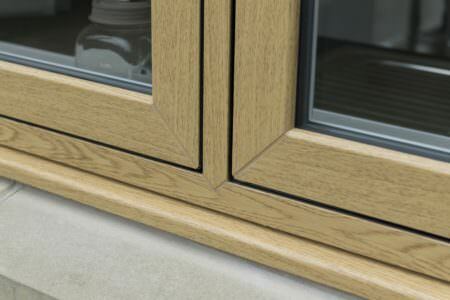 Exceptionally crafted, composite doors are designed in the likeness of timber but are equipped with all the modern benefits of uPVC technology. This provides a classic yet durable design, making these charming and rustic doors the perfect replacement for wooden doors. The composite door is built using a combination of innovative materials such as uPVC, insulating foam and glass reinforced plastic. 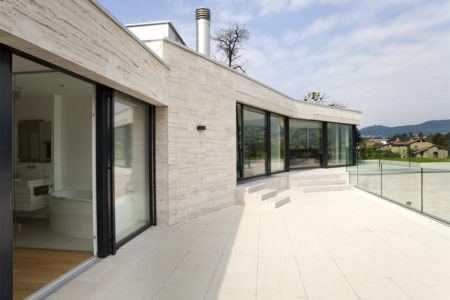 This clever mix of materials ensures great strength, durability and looks. 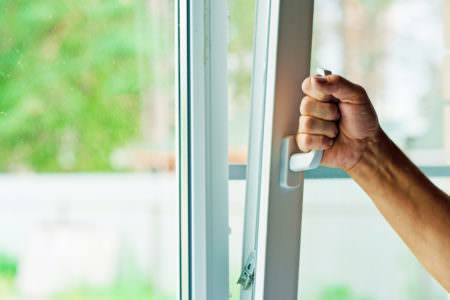 Thanks to an outer layer of GRP skin, composite doors are highly resistant to scratches and dents. 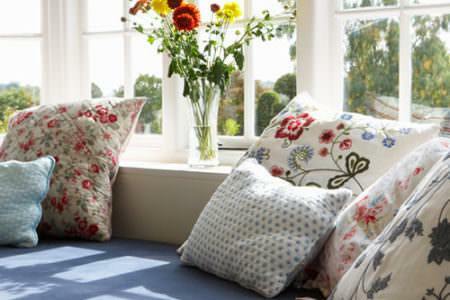 They require no layers of painting or varnishing and are at no added risk of rotting or warping. An inner layer of insulating foam provides a higher degree of heat insulation which provides superior energy efficiency. 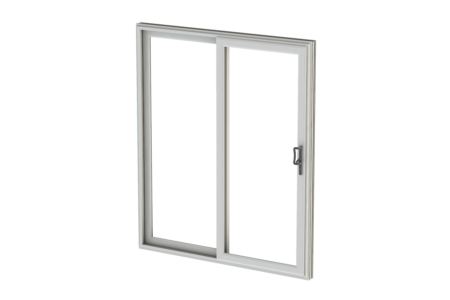 These doors will help keep your home comfortable and those energy bills low with their advanced technology and exceptional design. 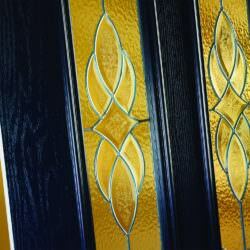 Composite doors are completely weather tight, successfully keeping the cold and rain out. You be protected against the harshest of weather conditions with a composite door thanks to their revolutionary design. 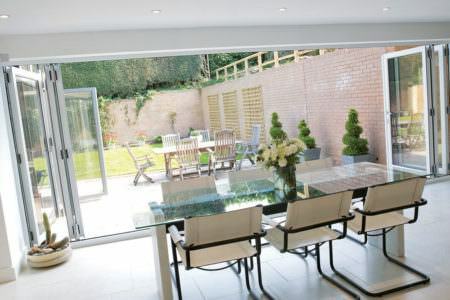 Composite doors a renowned for their high security – they are virtually impossible to break into. 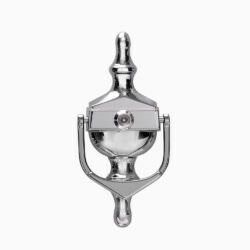 Their unique combination of materials and secure locks means you benefit from maximum security. 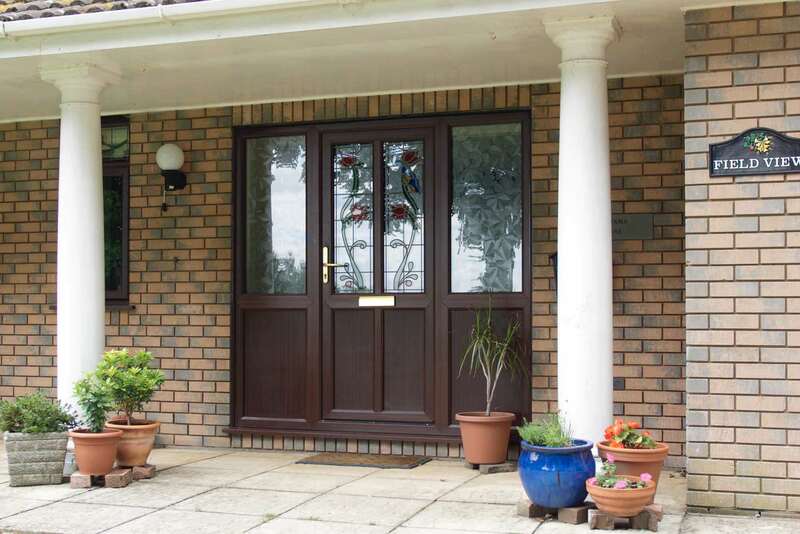 Unlike standard timber doors, composite doors will never discolour, rot or fade. 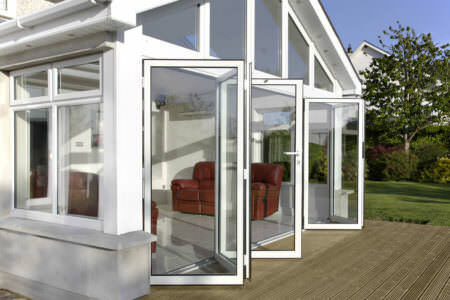 They are fully weatherproof and highly resistant to external elements due to their versatile materials. 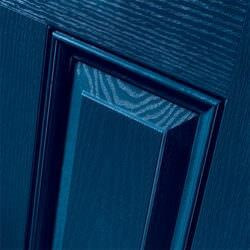 The composite door is virtually maintenance free, only needing an occasional wipe clean. 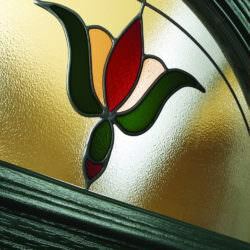 Composite doors come in a wide range of styles, colours and finishes. You can choose from an extensive colour range which includes standard white finishes to exuberant red and blues to classic woodgrain effects. 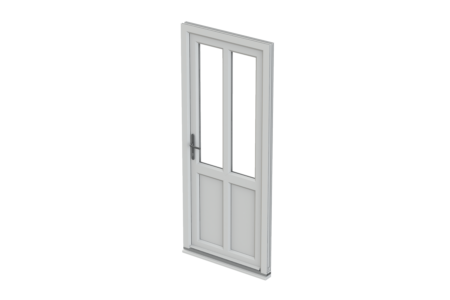 The double glazed composite door has a high thermal resistance due to unrivalled design of insulating core foam. 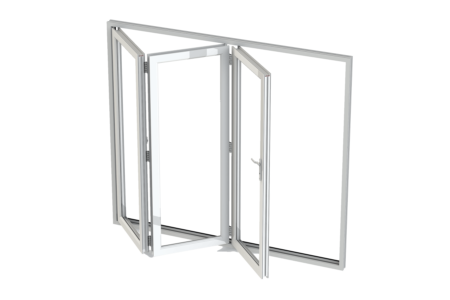 This inner core provides a greater level of energy efficiency, keeping bills low and adding great value to your property. 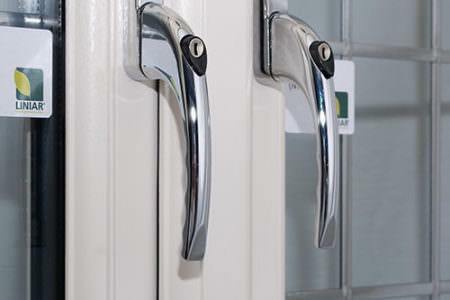 Composite doors come with an exciting choice of hardware including bespoke handles, letterboxes and locking systems. 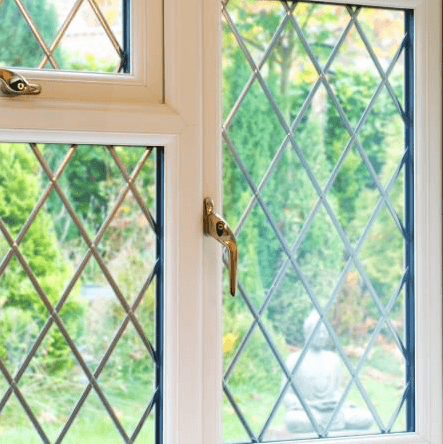 Your chosen double glazing installer will show you their available range, helping you achieve a beautiful yet secure look. Due to the durable materials in a composite door, the door itself is extremely long lasting. 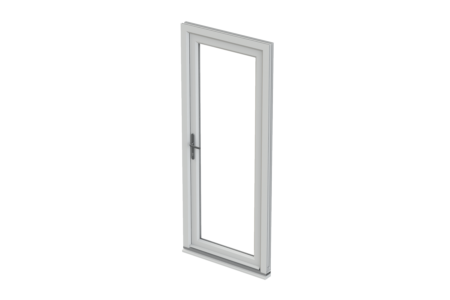 Its inner and outer layers are designed to withstand the harshest of external conditions as well everyday wear and tear, making the composite door an excellent investment. Enjoy a realistic wood effect with a choice of classic woodgrain finishes. 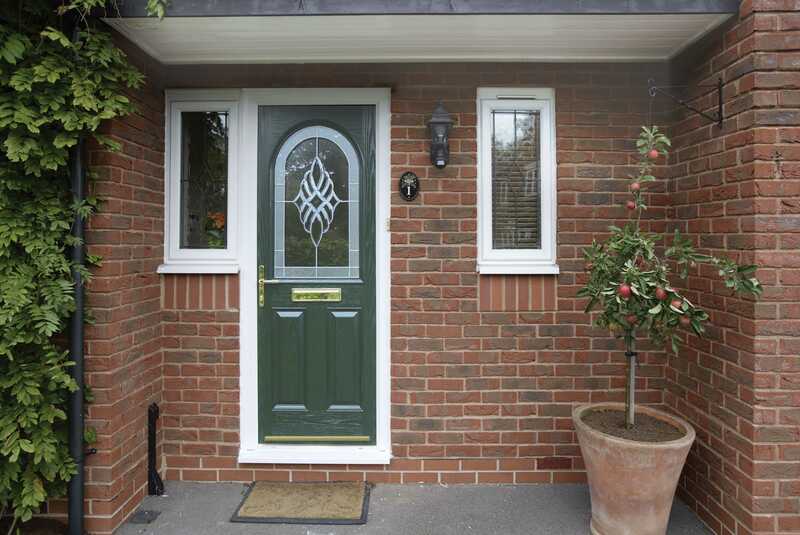 The composite door allows you to maintain a traditional aesthetic whilst enjoying all the benefits of superior efficiency, security and durability. 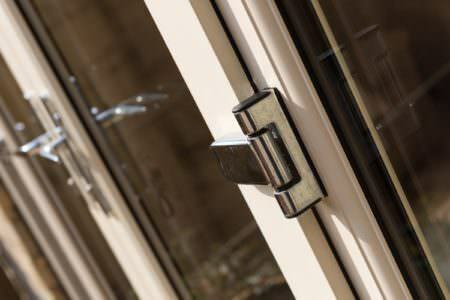 When choosing a new or replacement door for your property, there are many reasons why composite doors excel over timber frames. 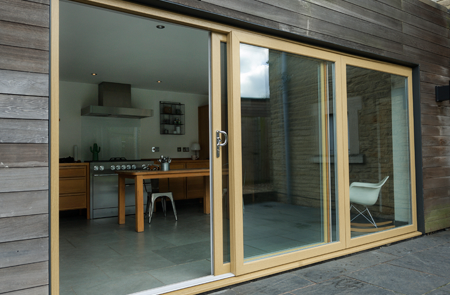 Due to the turbulent British weather, wooden doors have a tendency to become warped or twisted and cracked. 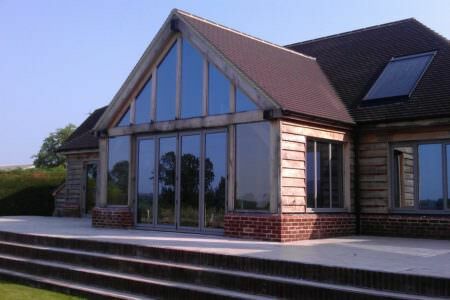 A wooden door can be more high-maintenance than a footballer’s wife and just as expensive. A wooden door requires constant maintenance with regular varnishing and treatments which can very quickly run into hundreds of pounds. 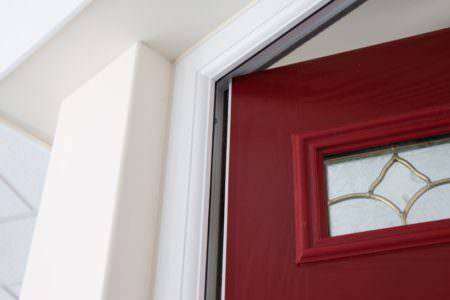 Composite doors share the same aesthetic qualities as wooden doors but are built from a combination of materials which include: uPVC, wood, insulating foam and reinforced plastic (GRP). 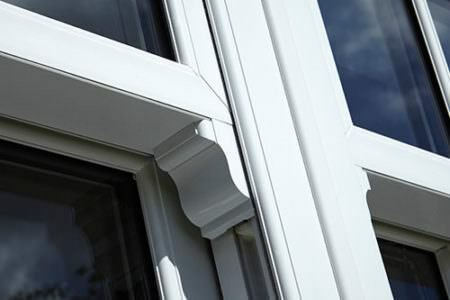 All these materials are selected to ensure composite doors remain strong and versatile so that they are resistant to weathering and other seasonal changes. If you are looking for a long term solution for your home then a composite door is the ideal choice. 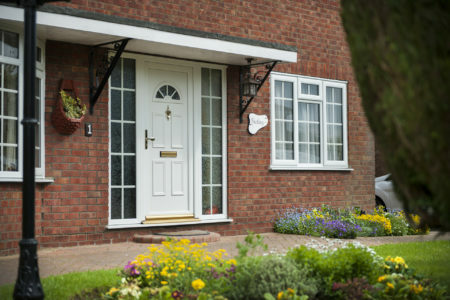 When it comes to insulation, composite doors can’t be beaten. They consist of several layers of thickness that decease subsequent cold spots and draughts. At the core of all these layers is an insulating foam which further promotes a warmer more comfortable home. Highly resistant to weathering, the composite door won’t react to seasonal changes unlike standard doors made from singular materials. They will not discolour or fade like wooden doors and instead promise a beautiful, long lasting appearance. Composite doors are designed to offer an attractive woodgrain appearance whilst offering the high technological benefits of uPVC. This means they will never rot, fade or discolour, giving you the authentic look of wood but without the hassle of upkeep. 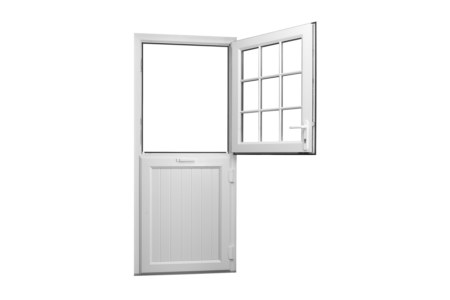 This extremely low maintenance doors will be a valued addition to your home. 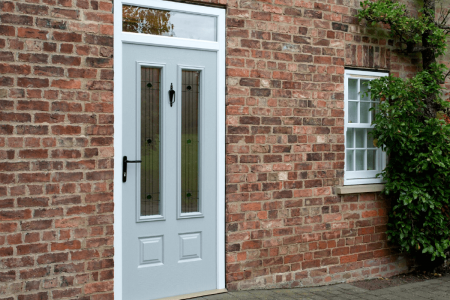 How Much Does A Composite Door Cost? 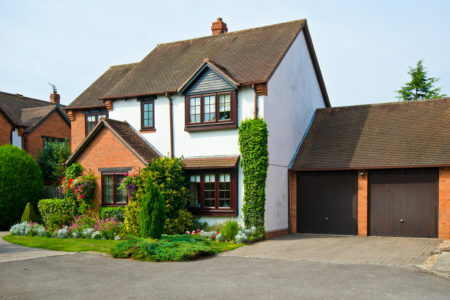 A composite door plus professional installation usually starts from £1000. These doors are higher quality so prepare to pay a little extra. 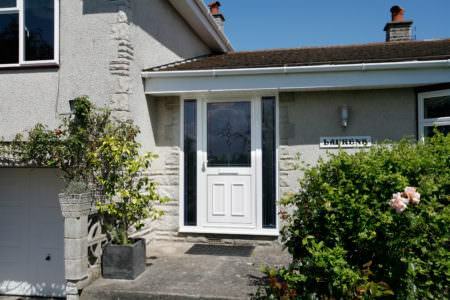 Modern composite doors are however, available in a wide range of styles and so your price will ultimately depend on your individual specifications. 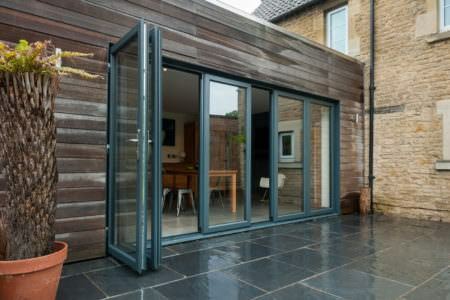 Glazing, door furniture, colours and finishes – will all effect the overall cost. 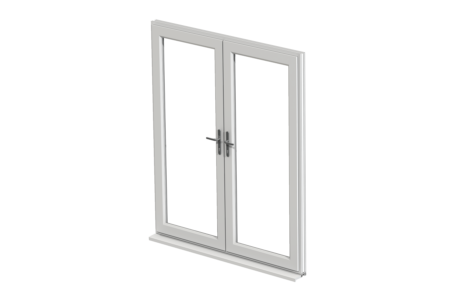 The good news is, Double Glazing On The Web offers an online quoting engine which provides you with an average composite door cost. 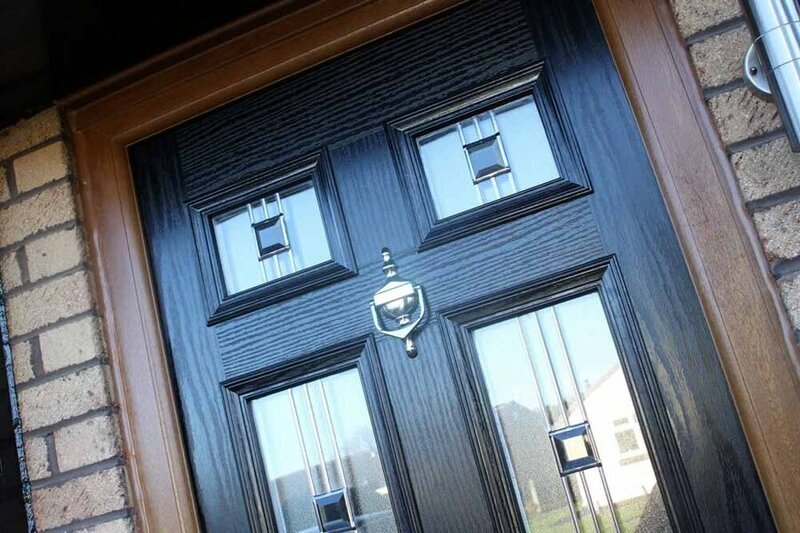 Choose from hundreds of composite door designs and get a tailored online quote. Price includes full technical survey, installation in your area, a multi-point locking system, door handles, cill and letterplate. Start you free composite door quote.